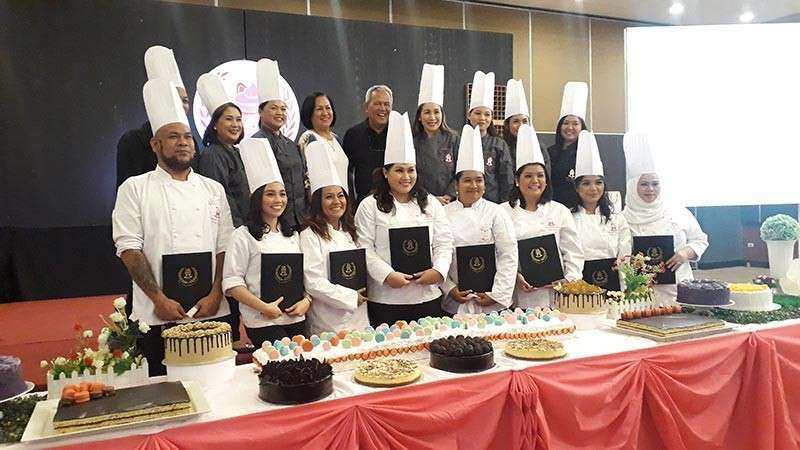 MORE than 30 people of different professions received their Certificate in Professional Baking and Pastry Arts and were labelled pastry chefs as Sweet House Pastry School held their graduation ceremony last Saturday, March 9. Sweet House Pastry School is one of Cagayan de Oro City’s premier school that offers classes for making pastries, cakes, and other baked products. The graduation ceremony, held at the Chali Beach Resort and Conference Center, this city, was attended by guest speakers Technical Education and Skills Development Authority (Tesda) regional director Tarhata Mapandi and City Mayor Oscar Moreno, who were delighted to see the graduates reap the fruits of their labor and earn the opportunity to become a professional pastry chef. “Kini nga (These) skills nga inyong na (that you) acquire are very, very important,” Moreno said, during his speech last Saturday, adding that it can produce entrepreneurial or employment opportunities in the city. The graduates, in turn, spoke of their heartfelt gratitude towards the pastry school, particularly their chef teachers and Sweet House Pastry School founder and president Chef Mich Abugado Uapal. Uapal, for her part, felt proud and expressed happiness in seeing her students finally graduate. According to Uapal, these newly-graduated pastry chefs can start their own business, selling their own baked goods and pastries. “Our aim is entrepreneurial, meaning at the end of the course pwede na sila magbaligya (it can be sold) with their own. You can put up with your own business,” Chef Mich said. At present, enrollment for the different courses of Sweet House Pastry School already started, accepting 12 to 15 applicants who are interested to learn how to bake and decorate cakes.